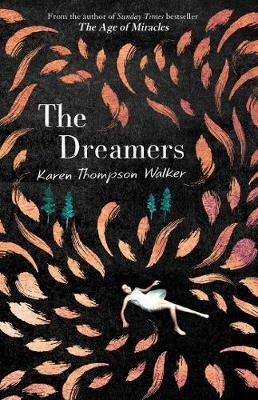 Reading The Dreamers leading up to Christmas, I’ll admit that a book about people drifting into a seemingly peaceful and prolonged sleep had its appeal. This is, however, no fairytale but a contemporary novel revolving around a viral outbreak in a Californian town that sends the infected into an unwakeable sleep and into a world of dreams. Karen Thompson Walker delivers a book that is rewarding on two levels. Firstly, as a compelling disaster novel (I was reminded of movies such as Outbreak and Contagion) and, secondly, as a deeper meditation on dreams, consciousness and time. Thomson Walker is an assured and vivid writer who effectively builds the tension right from the start. The choice of virus has great dramatic implications; sleep is something we normally associate with relaxation and rejuvenation but here it is given an undertone of menace. How can one tell if someone is sick or just sleeping? How do you protect a newborn if you succumb to the disease? How are thousands of sleeping people kept alive when they are outnumbering their carers? The author also deftly examines the complications and logistics of a medical disaster: the need for quarantine, the strain on resources, the inevitable hysteria and the unrelenting presence of the media. Most effective is the parallel of these extraordinary events with the everyday lives of characters trying to navigate relationships, desires and personal loss alongside this extreme situation. As satisfying as the novel’s plot is, it is the thematic closing chapters that are the book’s strength. Dreaming and time are put in a historical and philosophical context, and the characters’ experiences take on a more universal and symbolic meaning as reality and dreams begin to blur. It provides richness and depth to a novel that lingers in the mind beyond the final page. Amanda Rayner is from Readings Carlton.